Based in the beautiful mountains of Western North Carolina, U.S.A.
Custom-Tailored / Highly-Immersive Journeys in Europe — for Individuals, Couples or Small Groups. Specializing in “Less-Touristy” Itineraries within Central & Eastern Europe —- Czech & Slovak Republics, Poland, Romania, Bulgaria, Hungary, Slovenia, Croatia, Serbia, Macedonia & Montenegro. Well-traveled & versed in most of Europe — as well as a bit beyond — i.e. Istanbul, Turkey + Morocco. Learn while Doing — Activate YOUR “Wanderlust”! Note: You may have noticed that the word “Wanderlust” appears frequently throughout this website. I’ve always felt that it’s the best single word to convey the passion for travel which I am attempting to share through VagaBob Travels & Journeys. Wanderlust : The term originates from the German words wandern (to hike) and Lust (desire). Although most literally; “enjoyment of hiking”, it is most often (+ most appropriately, in my opinion) conveyed as; a strong desire for, or impulse to wander or travel and explore the world. Everyone should have a VagaBob in their life. Thanks for a wonderful trip! There is truly nothing else like your “tours”. I have been on many tours before and always thought that I would prefer the freedom of traveling on my own but have been afraid to. Now, I’m not even sure of what I was afraid of. You have broadened my perspective on life and the world. Traveling the VB way has awoken all of my senses. I am looking forward to my next trip on my own. Thanks again for bringing out the sense of curiosity and exploration in me and for all that you taught me. I had the best travel and for that matter, one of the best times of my life on my trip with Bob. He packed so much substance, interest and experience into each day, all of which flowed seamlessly. I went places that I had never thought of going and am now planning to take my first solo trip to Central Europe. Bob, I can’t thank you enough for helping me find my wanderlust, something I never really understood before. I had contemplated going VagaBobbing for a while and finally took the leap in Oct./Nov.2014. I travelled with Bob and other participants on his Perfect Euro-Sampler trip. The trip exceeded my highest expectations; Bob combined teaching us the concepts of frugal independent travel with the freedom to put that into practice ourselves over the course of our adventure together. The scenery, history, and cultures we experienced were incredible. The food was authentic to the areas we explored, and the daily activities were exhilarating. The trip fulfilled a life-long desire to see Germany, but that was only the beginning of an amazing adventure for me. The trip was simply fantastic!! My husband and I joined VagaBob on his Perfect Euro Sampler and the trip was just that…PERFECT! 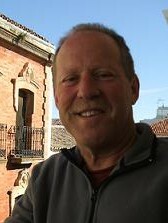 Bob’s vast travel experience was evident in the variety of destinations, activities, accommodations, and eateries that comprised the tour, all of which were a fun and fascinating delight. For one month last spring Jerry and I took the trip of a lifetime to Europe with ‘VagaBob’ as our guide. Start to finish, Bob was conscientious about providing for our travel pleasure, education, and welfare. Bob met with us personally for several meetings ahead of time to design a custom trip based on our desires and financial constraints. He provided advice concerning packing to purchasing affordable plane tickets. When we finally arrived at our first destination, he met us at the airport and allayed our fears of what was to come. Our trip included the following countries, plus multiple side trips: Italy, Slovenia, Austria, Germany, and the Czech Republic. Bob was flexible enough to alter the original plans to accommodate many spur of the moment detours, such as the time we asked to veer from our path to Cesky Krumlov to visit Konopiste, castle of Archduke Franz Ferdinand , whose murder instigated World War I. This side trip gave Jerry and me a better understanding of the beginning of a world changing event. Ironically, later we saw the prison cell of the murderer, Gavrilo Princip, at the Terezin Concentration Camp, which provided information about the other side of the story: the oppressed versus the aristocracy. In another situation, he extended our visit to include an incredible Passion Play in Skofja Loka, Slovenia, which is performed by the local community once every six years. How fortunate we were to be at the right place at the right time. Serendipity? The thrust of Bob’s trip was cultural immersion. He encouraged us to explore each destination beyond the general outlines of the tour, risk meeting people, try out new restaurants other than those provided in the tour. He taught us appropriate European etiquette, so as not to come across as ugly Americans. For example, we learned the importance of expressing the greeting and parting salutations of each tongue during each public interaction, the safety of walking within the specific lanes for pedestrians, so as not to be run over by bicycles, and the use of appropriate restaurant manners within local diner expectations. We were both impressed with the varied places he planned for us to stay, which gave us a feel for each culture: hundreds of year old homes converted to guesthouses (what would be a close equivalent to US B&B’s), former communist high rise apartments converted to hotels, and small/charming historic hotels—all within the immediate environs of Old Towns. Our favorite was a guesthouse run by a most interesting and accommodating proprietor, Igor, in Sofka Loka, Slovenia. Igor went out of his way to make us feel welcome. He shared the history of his 600 year old house, including a personal tour throughout. He made us delicious, hardy breakfasts each morning and provided much information about sightseeing within and outside the community. He drove us throughout the countryside for us to experience the lower Alps, gorgeous landscapes, and unique villages. He shared his family history – Slavic, Italian, and German – and his reaction to the reign of Tito versus his country’s participation in the European Union. Igor introduced me to my first schnapps, which burned all the way down and warmed me up on cold days. By the time we left, we felt like we had made a friend for life and look forward to returning some day. We appreciated Bob’s introducing us to such a delightful, unusually kind Slovenian, who represented his country beautifully. We were also impressed with Bob’s ease and expertise navigating us through what seemed-to-us complicated transportation logistics and schedules. Again, the transportation was varied to give us experience with the different modes through city, country, and international boundaries. We were amazed with the posh buses operated like planes with hostesses providing coffee, hot chocolate, newspapers, and information. Bob made sure we experienced varied cultural cuisine, such as pig’s knuckles, potato dumplings, red cabbage, and beer in a Munich beer house accompanied by a traditional Oompah Band. Bob had a sense of humor and kept us in stitches. Yet, he was very sensitive to our needs: providing guidance when we most needed it but backing off when we needed space to explore on our own. At each new location he gave us a brief tour and overview the night before the official tour the next day. At several locations, he arranged guided city tours provided by volunteer organizations, outstanding in quality and scope. In conclusion, Bob was the perfect European guide. He was well traveled himself and offered many years of experience and knowledge concerning each location. Again, we had a trip of a lifetime, largely based on the expert guidance of Bob L./VagaBob. We highly recommend signing up for a custom made trip of your own with Bob, or one of his regularly planned trips and find out for yourself! My wife and I have recently returned from a three-week culturally immersive VagaBob tour of Bulgaria. When we told people about our intended trip, the reaction was inevitably incredulous: “Bulgaria?! Why? Who goes to Bulgaria?” However, we were intrigued to experience the unfamiliarity of Eastern European life in a former Soviet-bloc country whose geography, history, and culture we knew next to nothing about. To plan such a deeply immersive trip independently would have been so burdensome and time consuming that, frankly, accomplishing such a task would have been highly unlikely. However, Bob’s extensive travel throughout the Balkans has given him an incredibly detailed familiarity with every aspect of local life, thus giving us the opportunity to use his expertise to our benefit. Bob tailored our trip as deeply into the local lifestyle as we wished, making our trip a truly immersive experience that would have been impossible on the typical big-bus tour. Crisscrossing Bulgaria from the mountains in the west to the shores of the Black Sea in the east with stops in various cities and villages along the way, our non-stop experiences included historical city walking tours, archaeological explorations, museum-hopping, scenic hikes, intimate accommodations, and local eateries, all off the beaten path, and all completely fascinating. We can honestly say that we can not think of a single detail we would have wished changed.